According to Sociology, Thanksgiving rituals, and the meanings we place on them, are socially constructed. Social construction is the idea that we create rituals that become traditions and develop meaning only because we continue to do them. In this post, I focus on three specific (and interrelated) problems with the way we construct Thanksgiving. First, the way Thanksgiving is celebrated reinforces an inaccurate interpretation of United States history. By focusing only on our rituals themselves, and failing to question or sometimes even discuss the history most of us learned about the “First Thanksgiving,” we engage in social construction to exclude the genocide of Indigenous Americans from US history. The history we learn portrays the colonists as friendly to Indigenous Americans and hides the violence of the relationship, and presents a romanticized history of Indigenous Americans that simultaneously erases their existence post-1800. Second, this “friendly” interpretation leads many to believe that Indigenous Americans are mostly a relic of the past. Most of us do not refer directly to “the First Thanksgiving” when celebrating with our own families and friends, which then strengthens the mythos through its invisibility. By only discussing the history of Thanksgiving to children, we diminish the ability to correct the record. Many argue that Thanksgiving is no longer a reflection of the colonial era, but is instead an opportunity to share one’s appreciation for their family, friends, and privileges. However, when we separate Thanksgiving from the US’s colonial history, we create another problem. Third, the first two points make it easier for other Americans and governments to disregard Indigenous American issues and movements. The way that we learn about Thanksgiving teaches Americans that Indigenous Americans are a relic of the past, despite the fact that they continue to not only exist, but also continue to be mistreated by the US government. As we saw recently in the battle over the Keystone pipeline, Indigenous Americans are fighting with the U.S. government to protect their water source. The disconnect between our understanding of the relationship between Indigenous people and early colonists and the modern practices of Thanksgiving are clear when we consider that Sioux water protectors continued their demonstration through Thanksgiving last year. The fact that police and the national guard forcibly removed water protectors off the camp in February is further evidence that Americans need to reflect on the history tied to Thanksgiving and American colonialism in general. There are several things we can do to make our Thanksgiving celebrations less problematic when expressing appreciation with friends and family. We can discuss Native American Heritage Month, and watch documentaries about Indigenous history and mistreatment of Indigenous Americans during early colonization and in more recent years. We can talk about Indigenous social movements, like the push to replace Columbus Day with Indigenous Peoples Day (which has already succeeded in some locations). If you’ve recently watched any movies or shows with Indigenous representation, discuss what was positive and negative about that representation. If you attend a school or have a favorite sports team with an Indigenous mascot, discuss this debate. 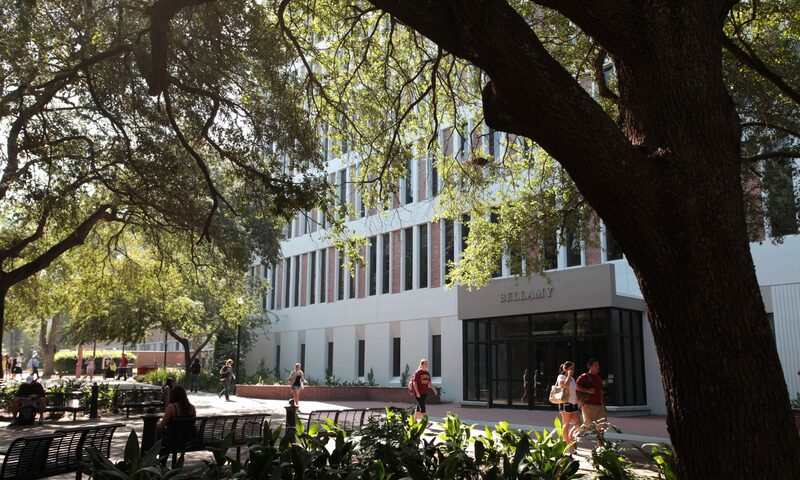 For example, as a student at Florida State University, it is important to question whether this statement sufficiently explains why the school uses a person for its logo and a group of people (who are less than 0.3% of the student body) to describe its students: “Florida State does not have a mascot. Instead, we have the honor of calling ourselves ‘Seminoles’ in admiration of the only Native American tribe never conquered by the U.S. Government.” Anything that can bring light to Indigenous Americans on a Holiday that often fictionalizes and erases them can help to make a Thanksgiving celebration less problematic. Jessica Grace is a Doctoral Candidate in the Department of Sociology. She studies social movements, mass media, and gender. The Featured public domain image is available through wikipedia.